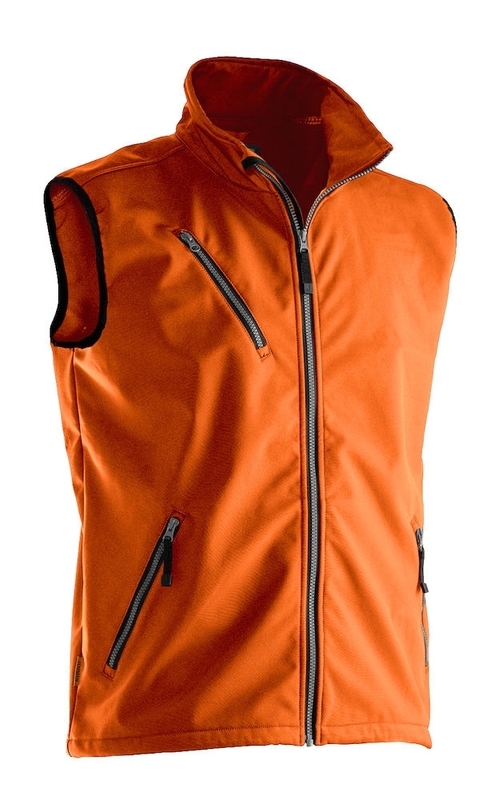 Water-repellent lightweight softshell vest. Chest pocket with ID card compartment. Inside pockets. Spacious zipped front pockets.